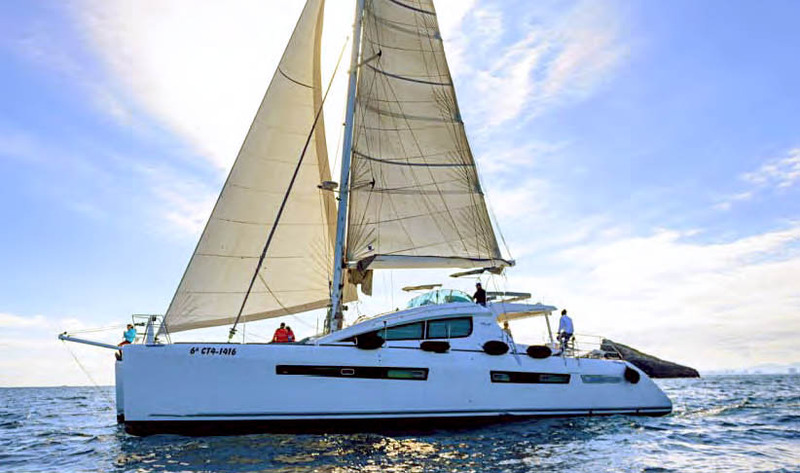 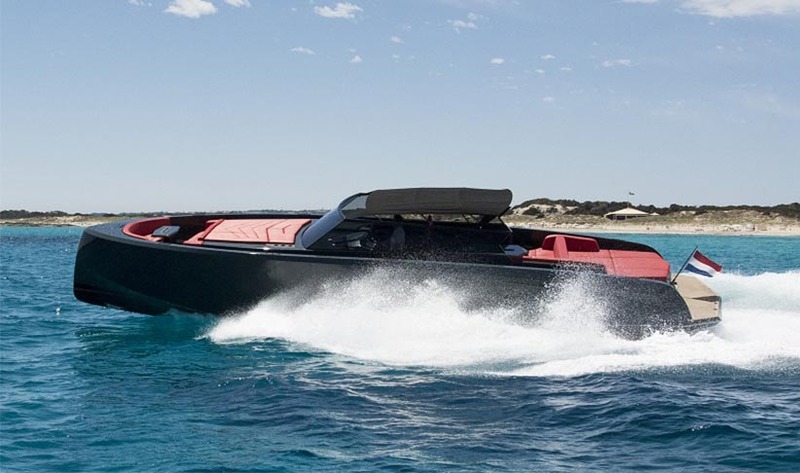 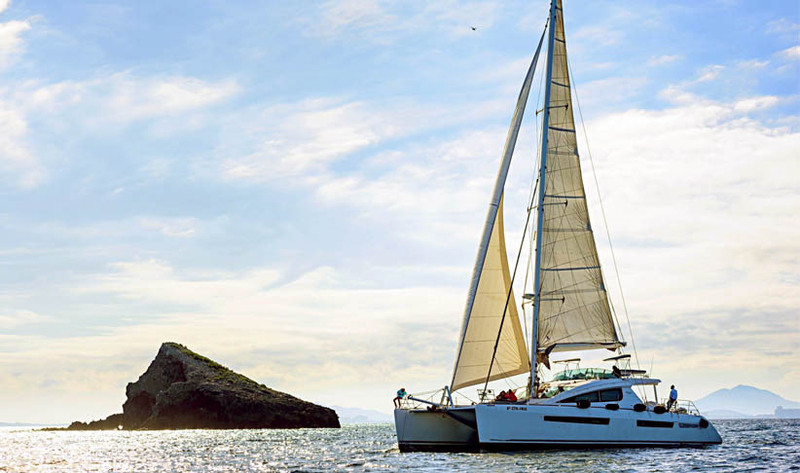 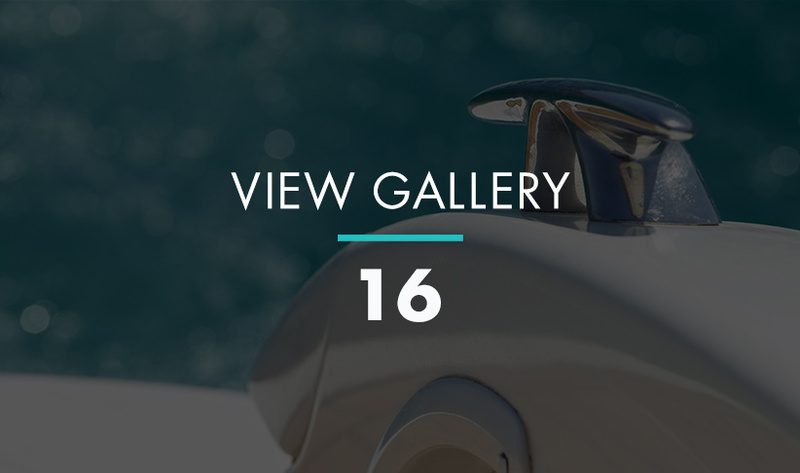 The Privilege 615 catamaran was built in 2017 and refitted in 2017. 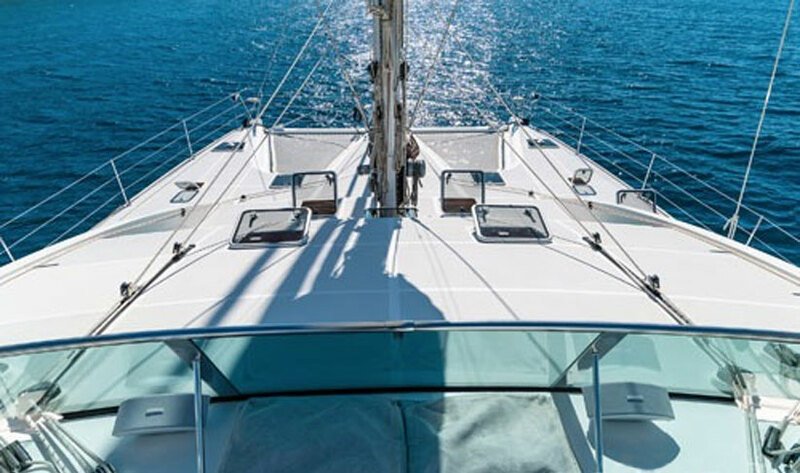 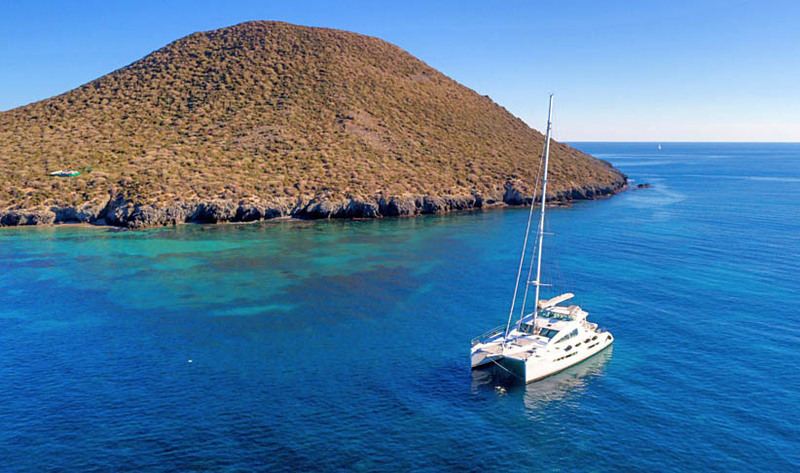 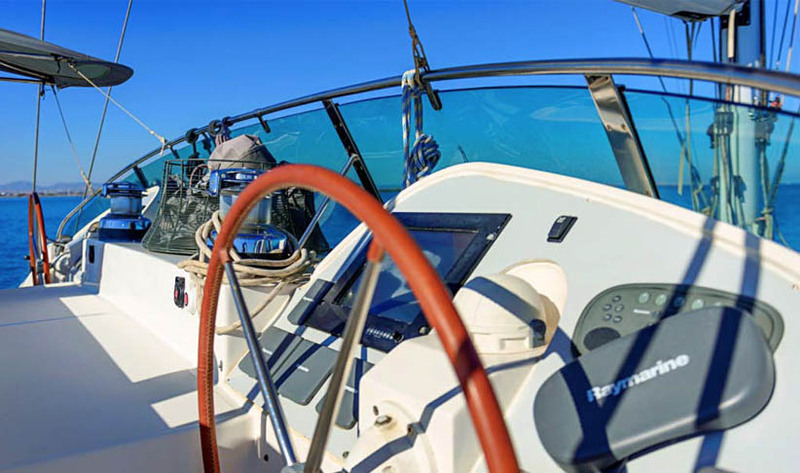 Equipped with the latest electronics, accessories and an excellent music system with speakers both inside and out, it is an excellent choice for both day and week-long charter. 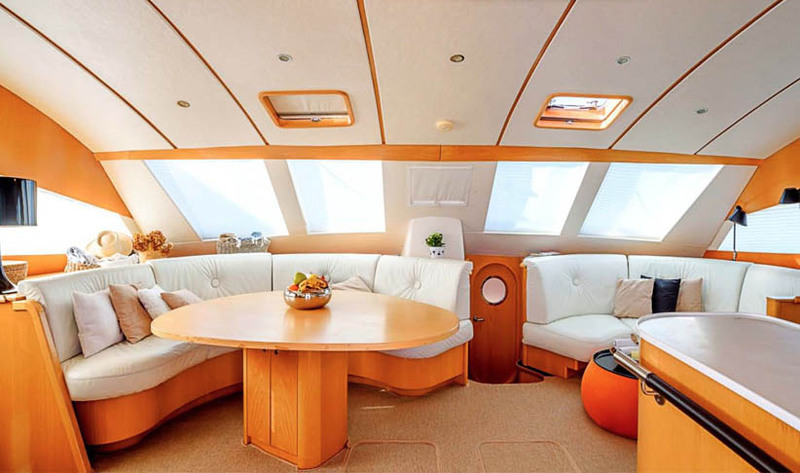 The spacious interior has plenty of room to relax both below and above deck. 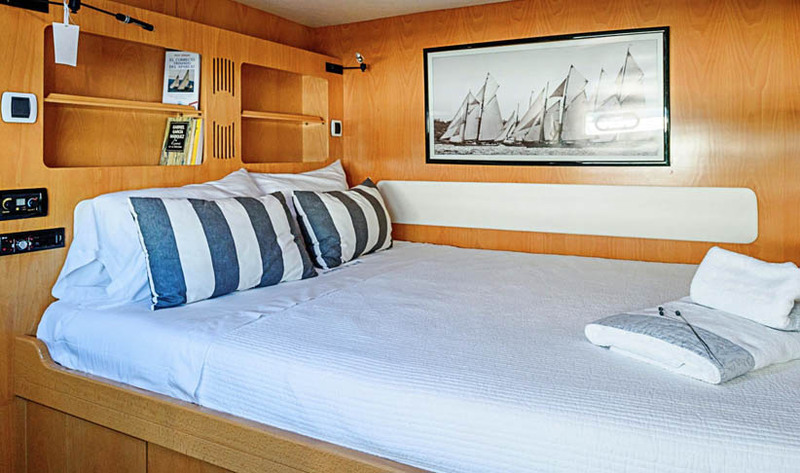 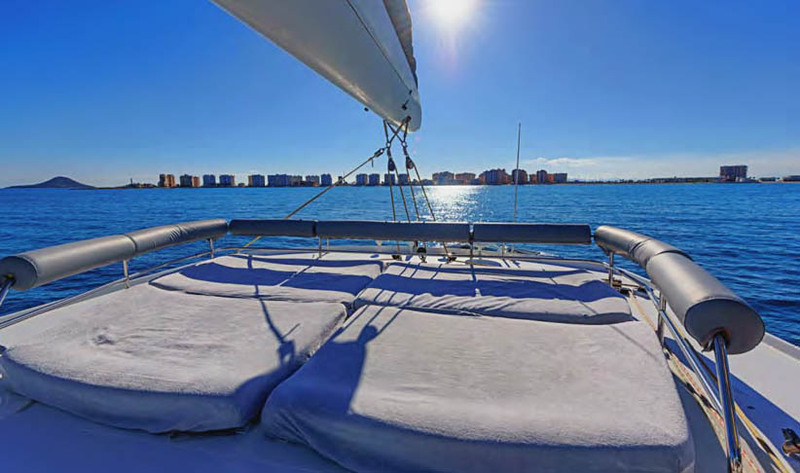 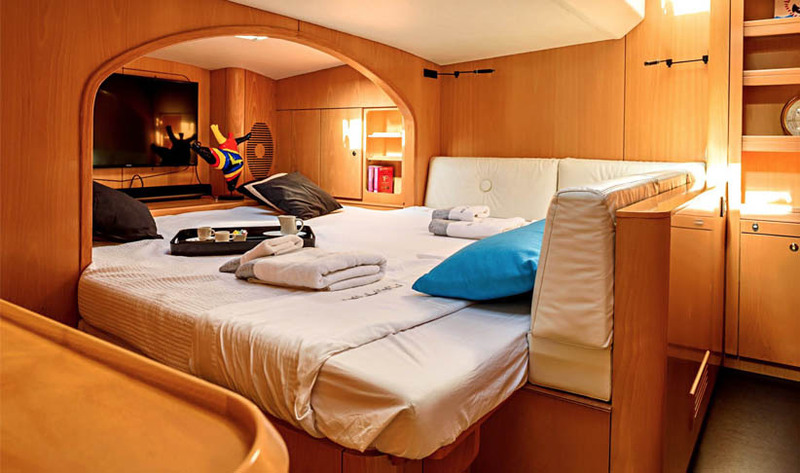 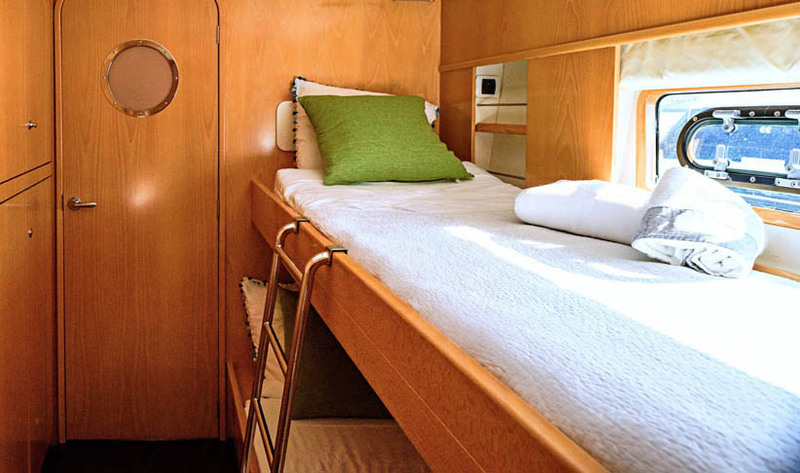 Onboard there is 4 double en-suite cabins with showers and a convertible saloon, as well as separate accommodation for the crew making this an ideal choice for parties of up to 10 people. 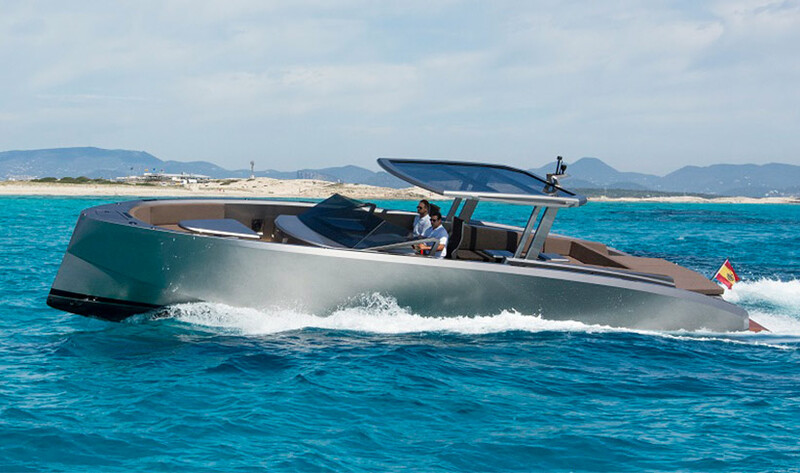 There's a tender and snorkelling equipment as well as a kayak and paddle surf on which you can easily navigate all the little coves and bays in and around Ibiza and Formentera, getting an entirely new perspective on the two smaller Balearic islands. 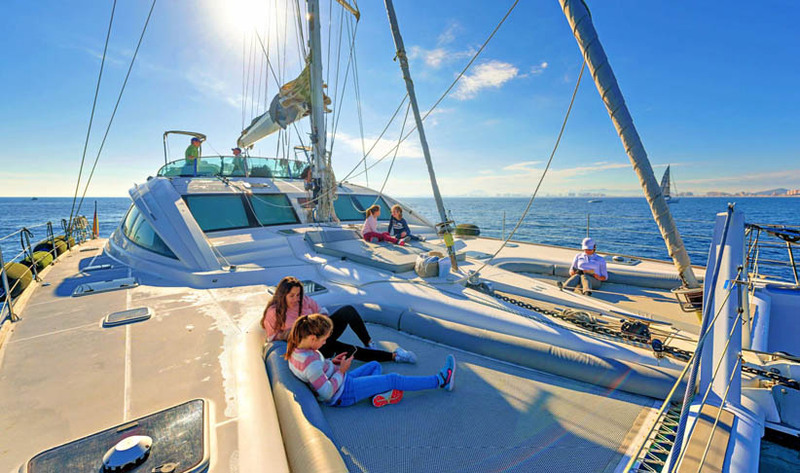 It is a great way to spend an unforgettable holiday with all the comfort, fun and relaxation that you deserve. 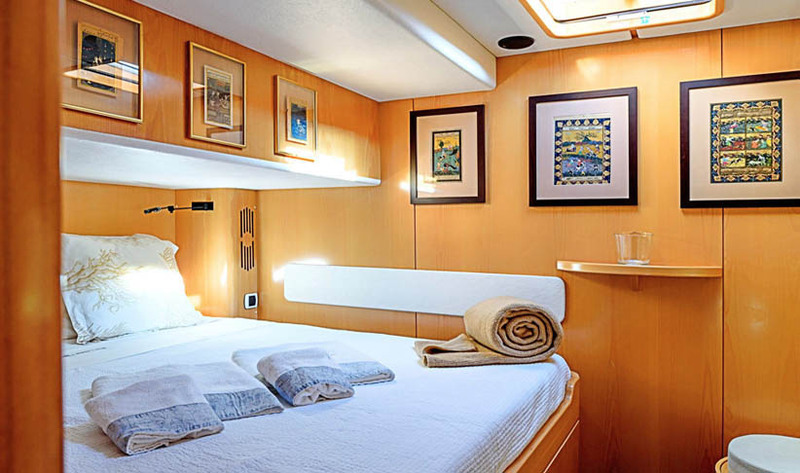 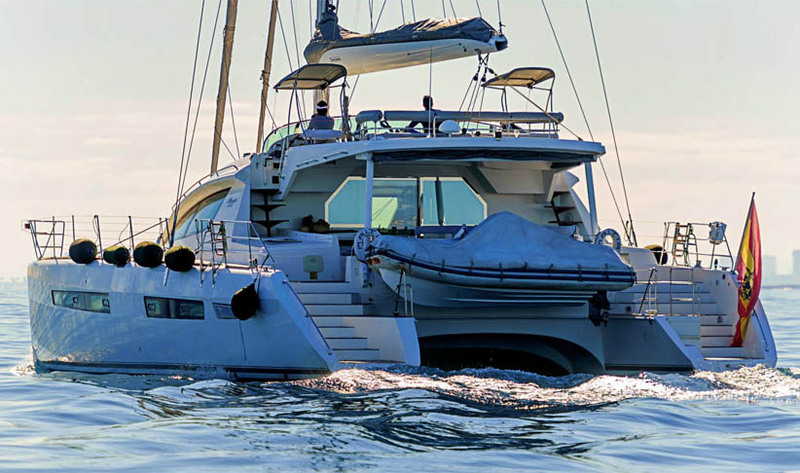 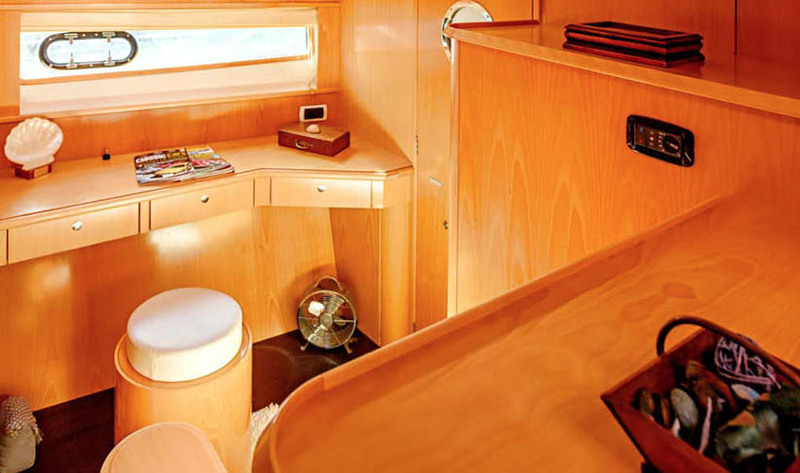 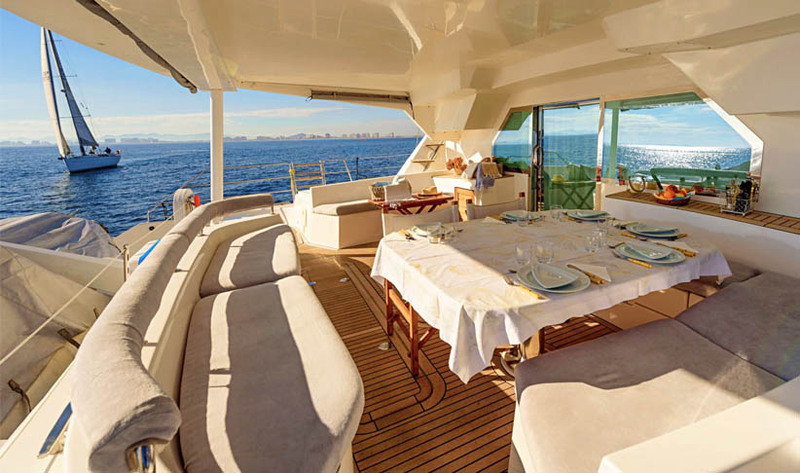 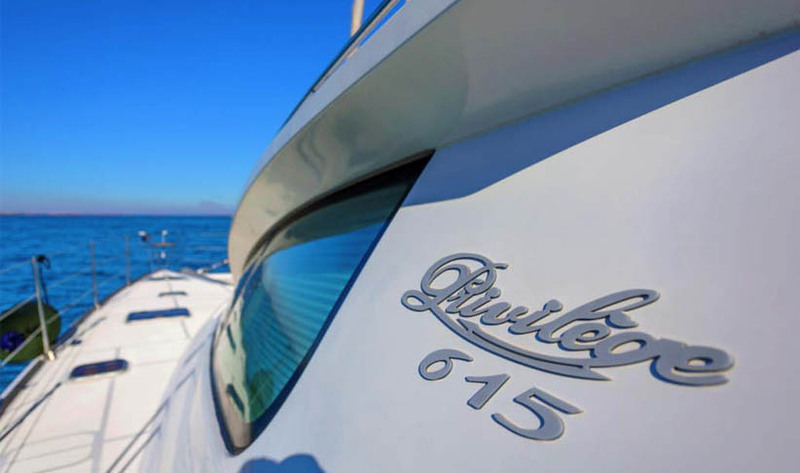 The Priviledge 615 has a crew of 2 with a captain and host/cook. 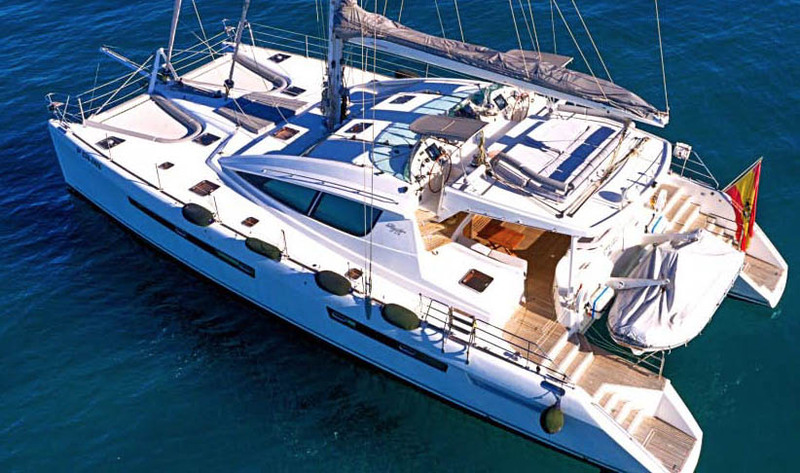 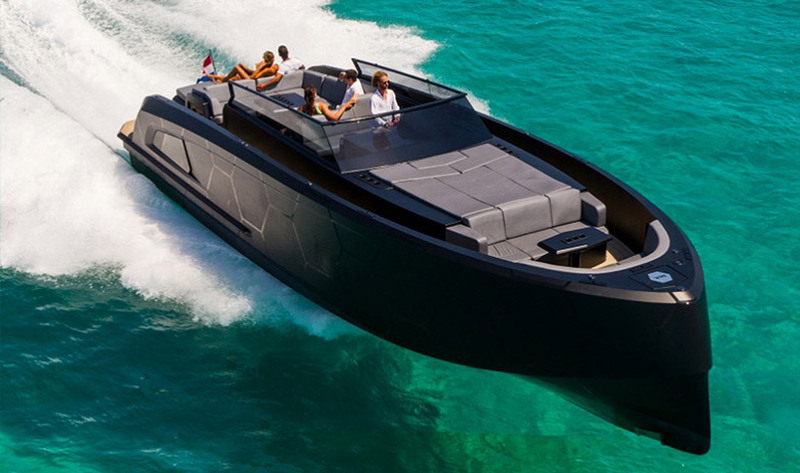 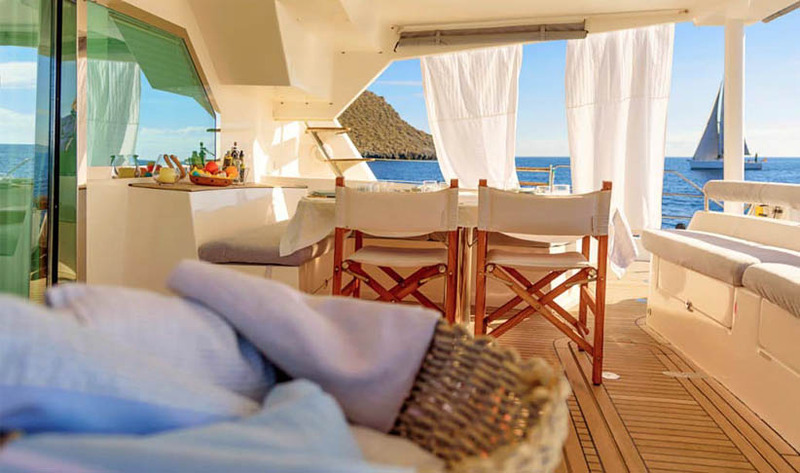 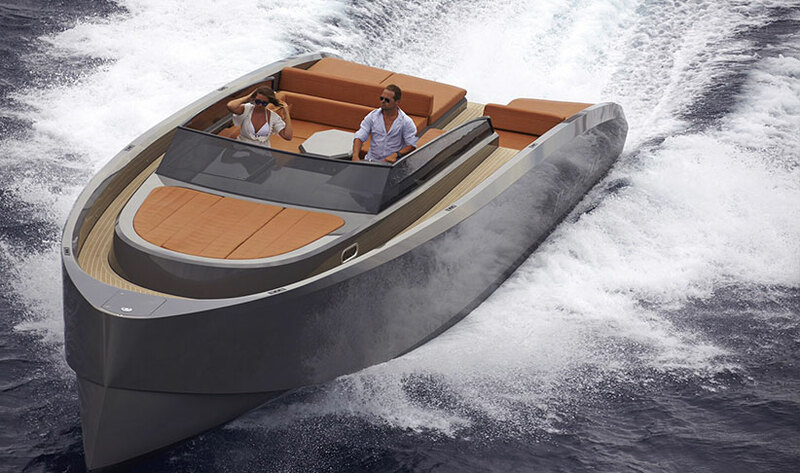 It's also possible to charter this boat for weeks in Mallorca. 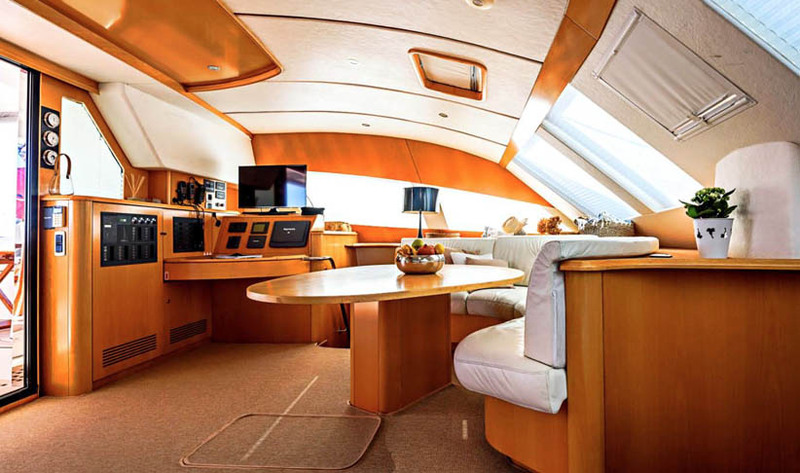 8 hour charter includes: crew; comfort pack. 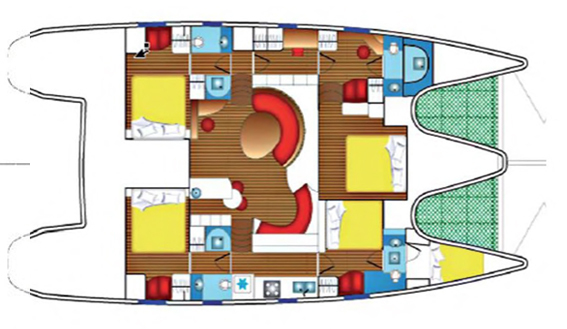 Excludes: mooring; fuel; food.